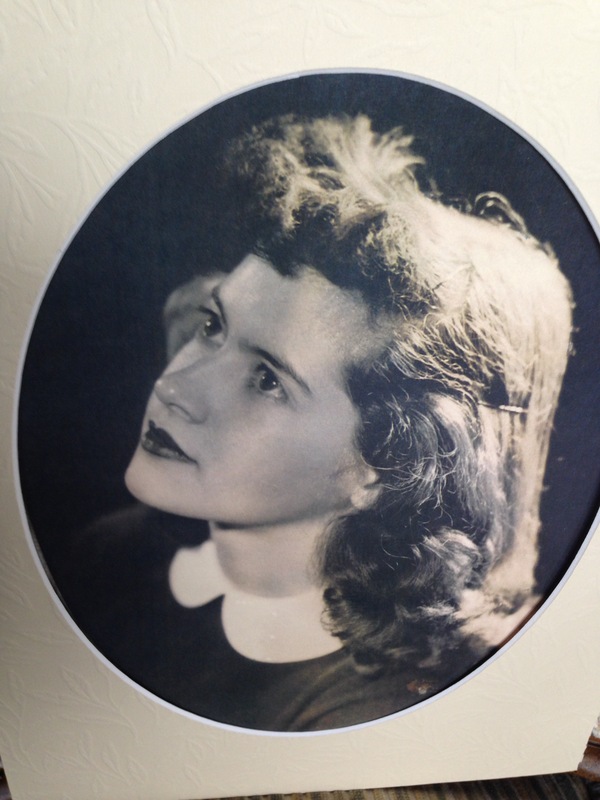 My mother’s name is Hazel and in her youth, she was beautiful and feisty and fun. In this photograph she’s about 16 and glamorous in a schoolgirl sort of way, the picture of health. These days, though, in old age, she’s becoming a shell of her former self. I can write those words and know she won’t see them because she doesn’t go online. Not ever. Except maybe when I put my laptop in front of her and find an image she can look at. I did that the other day for a little project to keep her active. She adores birds, so I asked her which bird she’d like to draw and she said, “I’ve always liked robins.” So, I found the right image, brought out some colored pencils, and she proceeded to sketch a picture. When she was done, well over an hour later, there was a bird-like creature on the paper, but strangely elongated. It hardly resembled a robin, though she didn’t seem to mind. A neurologist called it her loss of “executive function.” There’s no way, for example, I’d expect her to read my novel. Reading requires too much concentration. She still gets around all right, as you can see in this snapshot, but her comprehension isn’t there. Though her eyesight is fine, her brain struggles to process what she sees: a light post might be a tree to her or a jacket more like a pair of slacks. We all know it’s dementia, and we all dread that it’s Alzheimer’s, but there’s little we can do. I remember my mother in healthier times, younger times, when she could draw with precision, when she had energy to bustle about the house. My sister Sally tells how she mouthed off to mom once until she took off chasing her with a hairbrush. Sally had to race outside just to get away because my mother was lightning fast. I have other colorful memories of mom: driving my older sisters to Marshall High School in her robe and slippers; tucking us tightly into bed at night; and, of course, standing at the stove cooking a big pot of spaghetti or, better yet, a roast beef with her dark and delicious gravy. What says “mom” more than that? My mother has given up cooking–it’s too complicated and dangerous. She may not fully realize it, though, since she threatened to bake cookies just a few weeks ago. I bought the chocolates chips like she asked, but then slipped them in the cupboard where I knew she’d forget about them and not burn herself. My dad and sisters and I do the cooking now, and, thankfully, mom doesn’t seem bothered by it. On some level I think she realizes it’s just too much. When I came home from school or dirty and hungry from playing outside, I always knew she’d be there. I knew I could stand at the stove to watch her cook and that I could talk to her–chattering away–for hours and she would listen. Even when money was scarce, I knew she’d put my needs first, ahead of hers. She always did. We didn’t have fine china or fancy things growing up, but I always got new school shoes and a decent coat to keep me warm. No matter what happened or how bad things got–and they did get bad–I knew that she loved me and that she’d do her damnedest to be there for me. Years later, I honored her love by paying it forward to my own children. And she’s been so sweet to them. And here’s the final truth about mom. Even after she’s gone, she’ll be here still, in my memory. She’s my one and only, flawed and imperfect but wonderfully-original mom. On this Mother’s Day weekend as she sits with us and visits, I’ll say a quiet prayer of thanks for that. If you have memories about your own mother you’d care to share, please leave a reply. I’d love to hear them. 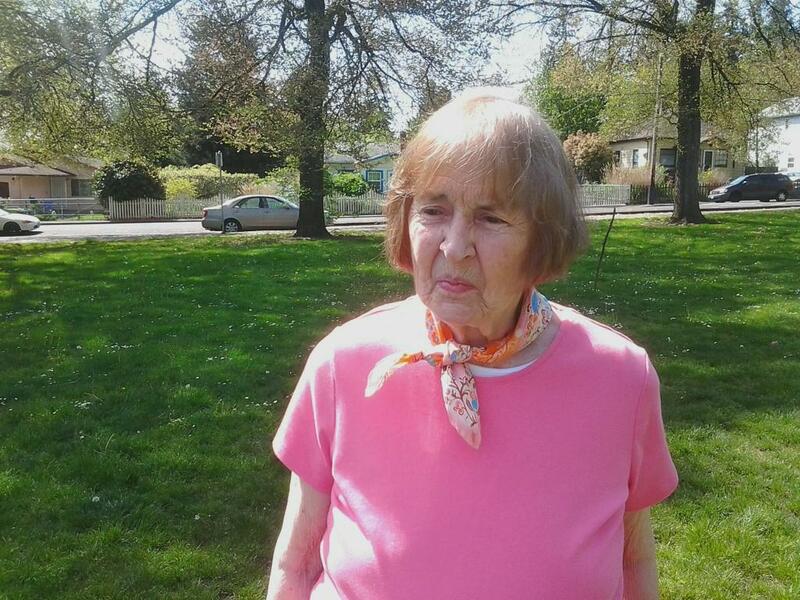 This entry was posted in Family Life and tagged Alzheimer's, dementia, executive function, grandmother, losing a parent, memories, mother's day, old age, perception, the truth about mom, tribute to mom by Marcia Coffey Turnquist. Bookmark the permalink. so sweet Marsh, I have tears.. Beautifully said! It brought tears to my eyes. Having just lost my mother, I know this Mothers Day will be bittersweet. Sad that I will not be able to physically share it with her but very thankful she is at peace. I feel like the past thirty years (as far as my mother is concerned) have gone by in the blink of an eye. I still saw her like she was in her fifties but in reality, it was me who was in my fifties. How can that be? I guess I don’t feel like 50, whatever that may be! The changes that happen as we get older and sometimes much too quickly, certainly bring life into perspective. I am sooo thankful for my mother, for the childhood she gave me and the lessons she has taught me. I can only hope that I have passed on half as much to my daughter. You were in my thoughts, Arlene, when I wrote this. I knew it wasn’t going to be an easy Mother’s Day for you. I’m sure your daughter adores you–how could she not?! Have a wonderful weekend. Thanks Meryl. Have a great Mother’s Day! So wonderful to hear from you, Diane! Enjoy your daughter and grandson this weekend and happy Mother’s Day. Very nice, Marcia. My mom was just recently forced to retire after 55 years as a hairdresser. She is 78. I have witnessed her world grow smaller with each passing day of seclusion. Things that were unimportant to her have now become the focus of her daily life. I miss the mom she has always been. I pray that I can be who she needs me to be now. Wow, Janeane. That’s amazing that your mother worked so many years. Here’s hoping it will keep her young, having kept her mind active! I know what you mean by missing the mom you knew. You’re a good daughter for anticipating caring for her! I wanted to say Hello and what a wonderful tribute I think you have written for your Mother Hazel. I may be a bit biased because our Mothers are sisters, and what you write about your Mom makes me think of mine. But I think you hit on the most important part in that you are aware of your Mother’s legacy to your family and your children, and how positive that must be!! You have also hit on the cyclical nature of life, and how the beginning informs what happens later. Hazel’s spirit, whether as a girl or as she is today, has long since been a part of your life and you have returned that love by being faithful and appreciating her every step of the way!! I know from experience how grateful you will be for that attitude!!!! Your Father is a part of your life as well, and our parents form the foundation of our lives. Your novel, The God Of Sno Cone Blue, is a wonderful tribute to your Mother and Mothers and Daughters everywhere. The novel makes us consider with greater appreciation the influence parents have in our lives. I hope that maybe you have described the novel to Hazel in some detail, and that she has a recognition that it is about her in great degree. In a way, it doesn’t matter because I know how much Hazel loves you and she knows that you return that love. Bravo to you for being appreciative of that fact and letting your Mom’s love inform your life and writing!!!! And Thanks for reminding me how much I love my own Mom!!!!!! Oh, Bill, and your mother (my aunt Bobbie) was so wonderful and talented! You know, I can still hear that easy, deep laugh of hers and the way she said my name. She was always so elegant and beautiful–and talk about drawing, she was truly a gifted artist! I still have her paintings on my walls. 🙂 Thank you for the generous words about my novel. And yes, Hazel knows the gist of the story. I’m not sure how many people noticed, but one of my favorite characters is named Hazel Clayton–for my parents. That was fun… a little license I took because I could. Take care cous. As we get older, we miss our Moms more and more. I lost my German Mom 30 years ago, I called her “Mutti” as did my two children. So kind, sweet and always ready to help and never wanting anything in return. She left us too soon; I still had so many questions for her, even now, and only she knew the answers. Marcia, thank you for your wonderful story! Happy Mothers’ Day to you! What a wonderful reminder, Helga. While my mother is still here, I’m going to keep asking her questions and try to write down what I can so I don’t forget! Have a beautiful Mother’s Day with your family and lots of memories of Mutti. Hey Marsh . . . this made me cry as I have fond memories of sweet Hazel myself. I wouldn’t have recognized her from the current picture, but do remember her more like the high school picture- quite striking. I remember how we used to visit her at the grocery store and she’d give us treats. Marcia- That was a sweet tribute to your mom. I know it is difficult as we grow older to watch our parents age. They have always been there for us. My mom is still around at 83 and is trying to be as active as she can. Her body is not cooperating as much as she would like. I have to say her mind is still in tact which is a small bonus. I did research with Alzheimer and dementia patients for a few years and it was a difficult to watch the decline. My partner’s mom is having cognitive issues that I know will provide us with many challenges. I have almost finished the book. I’m really enjoying it and I don’t want it to end. See you Saturday. Oh, Marcia, I’ve read your lovely words several times now, and they always make tears roll down my cheeks, as they’re doing now. I’ve not been able to respond – not sure why. I guess because it hits so close to home for me. The first time I read it I was spending a long weekend in Boston. Mom and Dad went there with us to celebrate Jake’s graduation (I already was emotional). I found myself praying all weekend for patience with Mom, and that Dad didn’t fall flat on his face on the cobbled streets. He’s having lots of trouble walking these days, but still charges along at Teamsters’ pace, and always seemed to be on the most cobbled or canted parts of the street. 😦 I love your Mom and Dad, too, and know that we’ll all be facing and going through difficult times and losses. But, we’ve been so lucky to have loving, giving parents and grandparents. And, we’re lucky to have sisters to go through it with us… Love you. Jill, thanks so much for the heartfelt comment. I don’t get to see you enough! I know you care about my parents, as I do yours. They’ve all had their health issues and it’s hard to see them struggle and get older. Sounds like Vic is refusing, which is just like him, right? 🙂 I can relate to the praying for patience comment–I just have to remind myself that things just take longer. I’m glad you got the chance to have your parents see Jake graduate. What a wonderful memory and I’m so glad they can still travel. Congrats to Jake… and to you and Brad. You have a college graduate! Love and hugs back to you and I hope to see you before too long!